I was watching Karate on the youtube last night, and I was struck by how little people know about the correct form of the martial arts. Check out the vid snip right below, This is how I explain how you get good form, then continue with the article. They turn their feet out at the wrong time, they separate their body into pieces, they do so many things that dissipate energy and lessen intention. And I am not talking beginners here, I am talking about people with decades of experience. Now, it wasn’t always that way. When I started the martial arts were fresh to the shores, and we bought everything we could, read everything we could, and were thirsty for day. And, we thought about what we were learning. What has happened that has destroyed the martial arts is the fanatic desire to have ritual. If I do what teacher says, I don’t have to think, and then I will learn. Do you see the corruption of logic here? How can you learn if you don’t have to think? Why do you think colleges are turning out people who can’t learn? Because they memorize in ritual, instead of learning how to think. Question, man, you have to have a question. 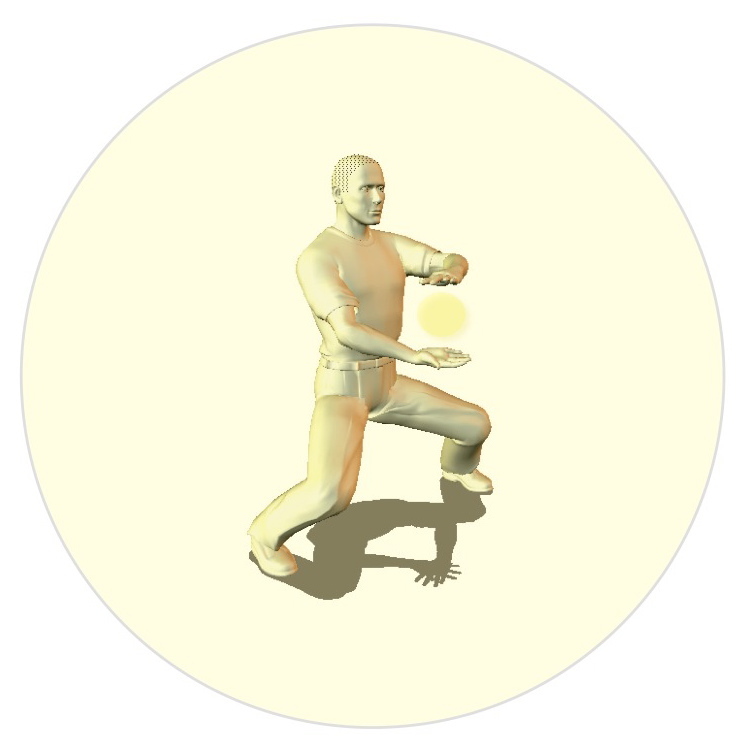 And not a questino as to the next piece of the sequence of the kata, but a question as to how it works, why it works, what’s the best (better) way to make it work. That’s all I can say, Argh! Frustration for a society that prefers to go blind. Well, the way to not go blind is to ask questions, demand answers, and not be satisfied with what you are taught. so be careful of your teachers. then you are following the blind. Check out my sites, see if I make sense, and then you will know whether my words here can be believed. Monster Martial Arts is one site. Got oodles of stuff on it. Articles, courses, everything. Or, check out Learn Karate Online. Got an actual free lesson or two on it. Go on, see if I make sense. I understand why people are leery of the net, there’s so much crap out there. It’s the same old same old. Well, I tell you, this is the brand new brand new, but you aren’t going to see it if you don’t take a look, and you won’t get it if you just shut your mind up and stop asking questions. Tekki One…Kima Chodan…the Iron Horse…They are the Same! Karate Secrets...hidden for all to see! On of my favorite kata was Kima Chodan. It has several other names, Tekki, the Iron Horse, and so on. It was also the favorite of Giochin Funakoshi, he spent ten years playing with it. The reason it is so great is that it is a power form. Getting low in the horse, stepping back and forth, just powers up the tan tien like nobody’s business. One of my favorite things was to face a partner and mirror the form. We would race, find harmony, critique each other endlessly. A mirror that actually talked…how cool was that, eh? For those who would like to go extreme, it’s fun to put a heavy weight vest and go crazy, or to hold dumbells and go crazy. After a while the power jacks up, you start feeling like nobody in the world could stop you, and man, ain’t life a hoot! Anyway, here’s my version of it. I learned it forty years ago, and I haven’t tweaked it much, so it’s a pretty pure version. Comes not through the Japanese lineage, but direct to the Okinawa Masters who taught Gichin Funakoshi. If you want to learn more about the old Karate forms surrounding Kima Chodan, or Tekki or the Iron Horse or whatever you call it, check out Temple Karate at Monster Martial Arts. What does a Karate Kata mean? It’s a dance, it’s a book of techniques, it’s a method for controlling and teaching large numbers of people without the need for data. It’s zen, it’s one thing at a time, it’s a belt arrangement system. It’s a recent invention that dates back two thousand years…and it shows you exactly and precisely and where to place them clodhoppers you call feets. It’s data arranged out of order in a set sequence. Whatever they are, do them long enough and you will know Karate. Well, maybe. Maybe not. After all if Gichin Funakoshi is to be believed, Karate is changing and changing…here is his direct quote. The classical Kata attributed to Gichin Funakoshi are called Heian. 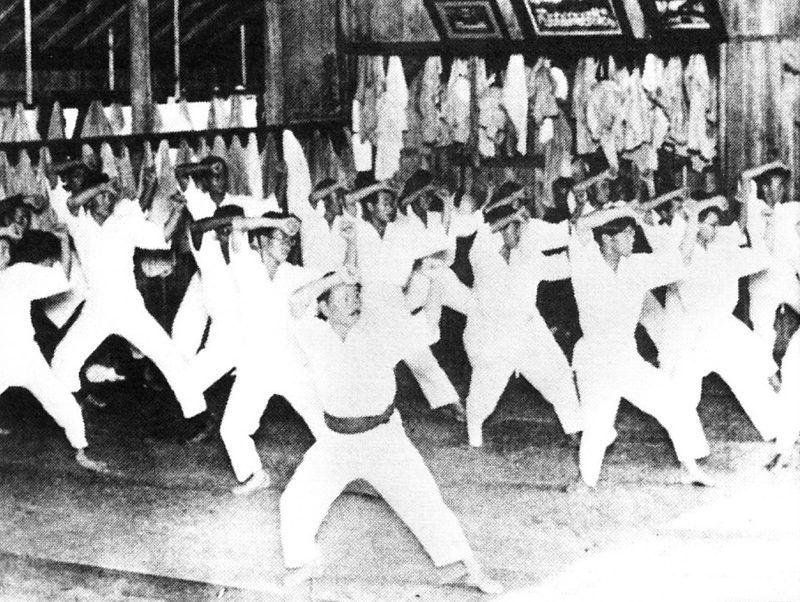 This writer learned, from a lineage other than the Japanese, Karate forms called Pinan. And there were distinct and stark differences between the two. The Heian are violent, forward stancing, explosive, in your face, one punch one kill. The Pinan have focus in the fist, work out of the more defensive back stance, modify the explosion exactly to the work being performed, are subtle and polite, and believe in getting along with your fellow man. Of course, my bias holds, the Pinans are better. They were created before the young turks of the Japanese college system altered them for tournaments and power and fighting and power and glory and power and…well, power. The Pinans were created before lust was in vogue. Of course, that said, this writer’s bias taken into account, one can modify the forms back to the way they were. All one has to do is adjust the angles and modify the mind. Ahh, modify the mind…perhaps it is not possible…but one can hope. 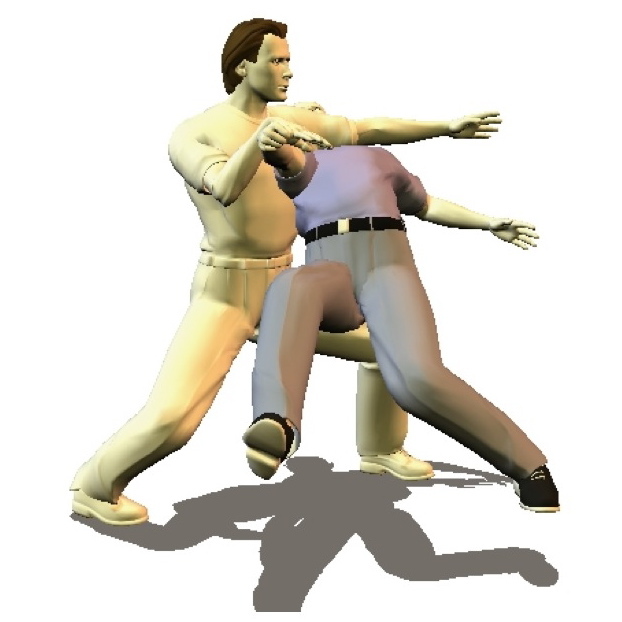 If you would like to view the original Pinans, maybe even take a free Karate lesson, try Learn Karate Online. This is an absolutely fascinating win concerning Karate Kata, as the fellow is going through what I had gone through, and he came up with some core concepts for how to Study Karate forms. Thank you for being so open and accessible. I have for many years enjoyed your articles and columns. I always thought it was funny that they had you in there making traditionalists mad and then Dave Lowry in the next column making the eclectics (artists) mad and the both of you would generate more readership and letters to the editor over your subject matter. If you’ll recall your article on the basic form you created that you referred to as house. I added the mirror image to the other side and created a second one based on the same structure and have taught these as the first two katas in my system. If you cut them in half (or back in half as the first one goes) they are great to also teach ADD kids and mentally handicapped people. Thank you for that article. Too many of the “grand poobas” these days believe they are too high and mighty to speak to someone if they are not this rank or in good with them somehow. You do your forms reverse side, backwards (reversing motion, not just doing the sequence backwards), and any other way you can think of. It’s not matrixing, but it is pretty darned powerful. You’ll find some strange things going on in your mind, and you start to undo the ‘robotic’ traditions you may have absorbed. There’s a free karate book going over some of the forms David was working on at one of my sites.